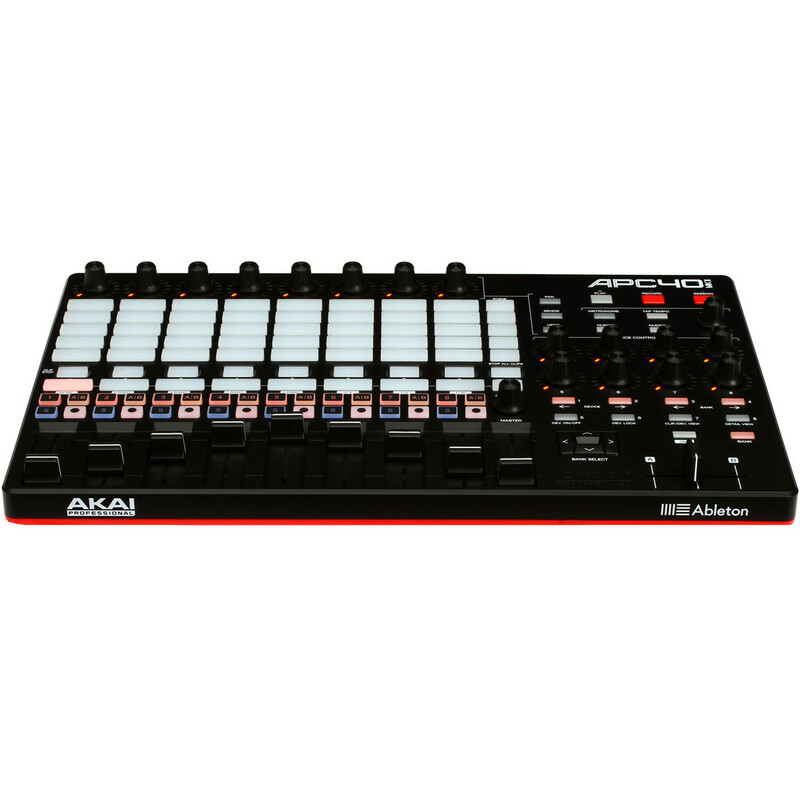 The Akai APC40 mkII, Akai Pro's flagship Ableton Live controller, incorporates five years of user feedback into its design for extended functionality, countless musical capabilities, and improved workflow. This controller seamlessly intergrates with Ableton Live and come with a free download of Lite. The colour coded pads are now brighter than ever, making performance in a dark space much easier. The APC 40 MKII is bus powered and compatible with both Mac and PC, as is all the bundled software. 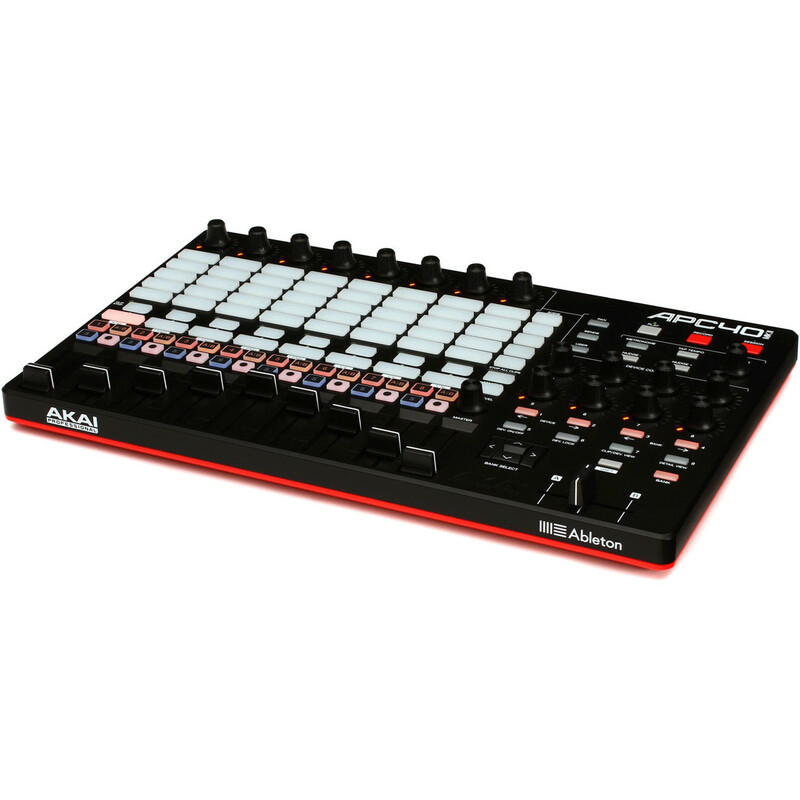 In 2009, Akai Professional collaborated with the creators of Ableton Live, a powerful music performance and production software environment, and introduced the original Ableton Performance Controller, the APC40. The instrument raised the standards of controller design, revolutionized hardware and software integration, and proved to be an essential performance tool for Ableton Live users everywhere. Building upon this original partnership, Akai Professional now introduces an all-new, re-imagined Ableton Live controller, the APC40 mkII. APC40 mkII features a 5x8 RGB clip-launching grid that's built for dexterous exploration: launch clips and create or perform your song from the ground up using 40 responsive triggers. RGB lighting provides visual feedback and displays three clip statuses (loaded, playing, and recording) so you can intelligently perform without looking at your computer. You can also colour code your clips with the RGB lighting for advanced visual organization, and use the Shift button and directional arrows to manipulate the scope of the 5x8 grid. 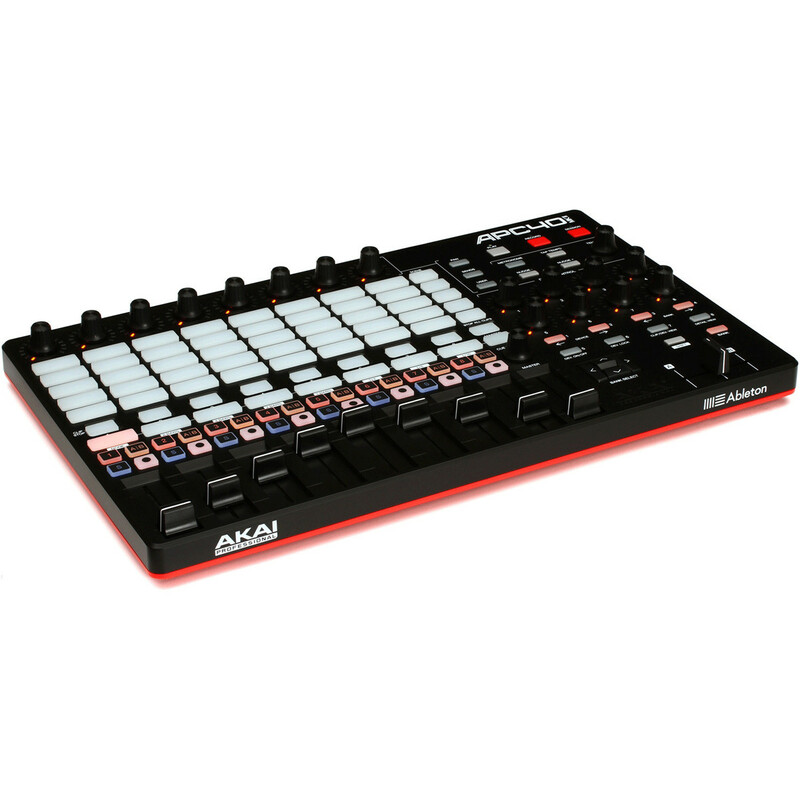 APC40 mkII comes pre-mapped to Live for an instant performance and production setup. When APC40 mkII is plugged into your computer, its hardware controls correspond 1 to 1 with Ableton Live's interface (no additional configuring is required). In addition, all of APC40 mkII's controls can be re-assigned on the fly for customized setups that change with your performance or production style. 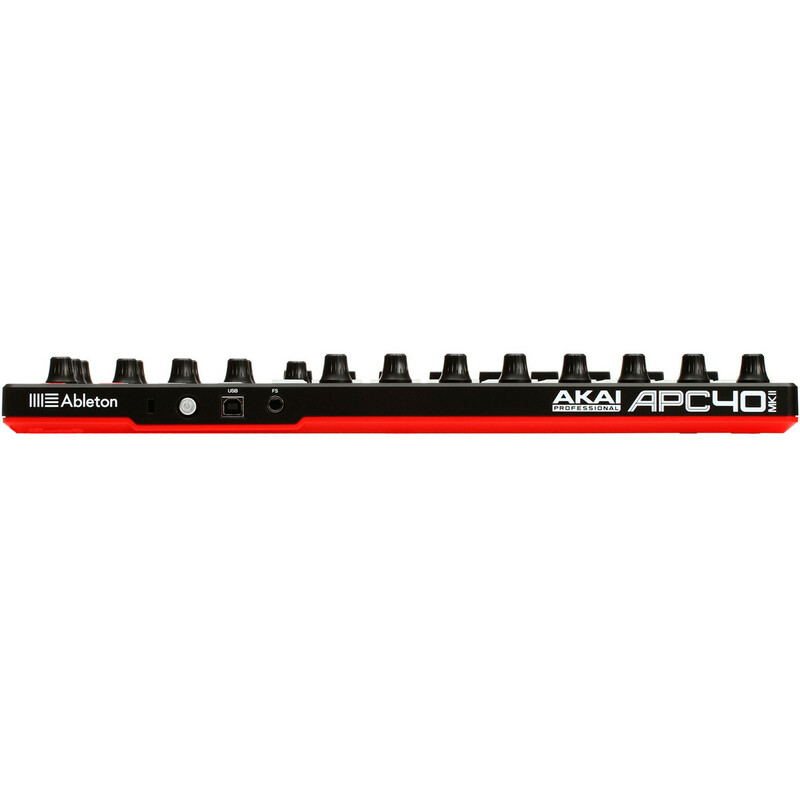 APC40 mkII is also powered over USB and supports plug-and-play connectivity, allowing you to take this controller from the studio to the stage or wherever you go. 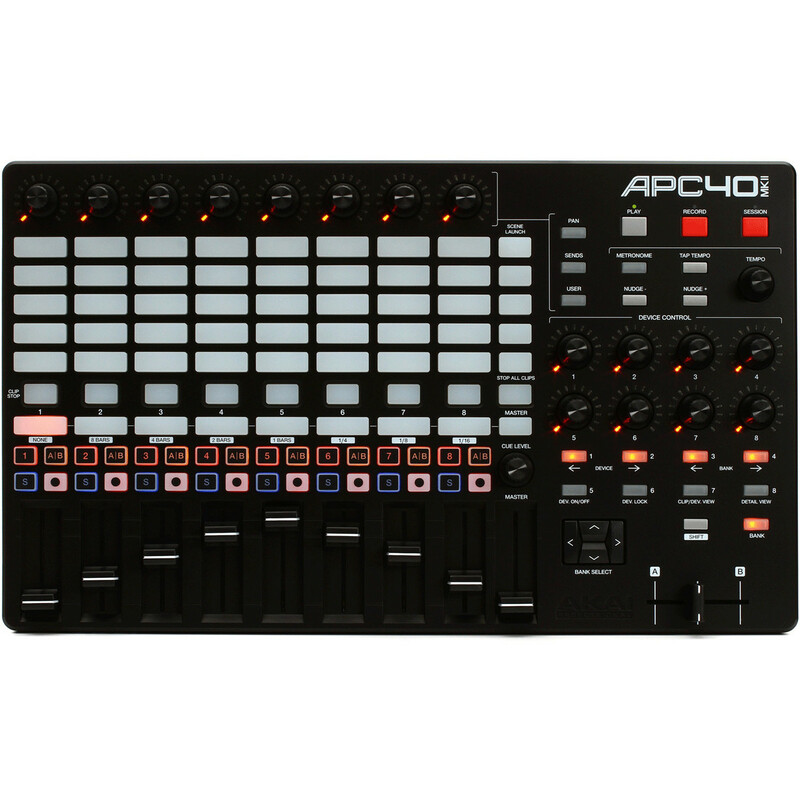 Whether you are an electronic music artist and Live is your canvas, a DJ using Live for performance and real-time mixing, or a more traditional musician using Live on stage or in the studio, you will find the APC40 mkII to be the intuitive, powerful instrument that directly links your inspiration with Ableton Live.